Jean Sumner is a third-generation rural doctor. As a child, she watched her grandfather and father care for the residents of Washington County, Georgia. She followed in their footsteps and became a “small-town doctor,” the kind who knows your mother, sits behind you in church and roots for the local football team. “Now in rural Georgia, there are (fewer) physicians, so children can’t aspire to be something they don’t see. They don’t see that role model out there, so we have to connect with them some way,” said Sumner, who became dean of the Mercer University School of Medicine after a 28-year career as a physician. In her role at Mercer, Sumner sees fewer and fewer new doctors choosing to stay in Georgia to practice medicine. 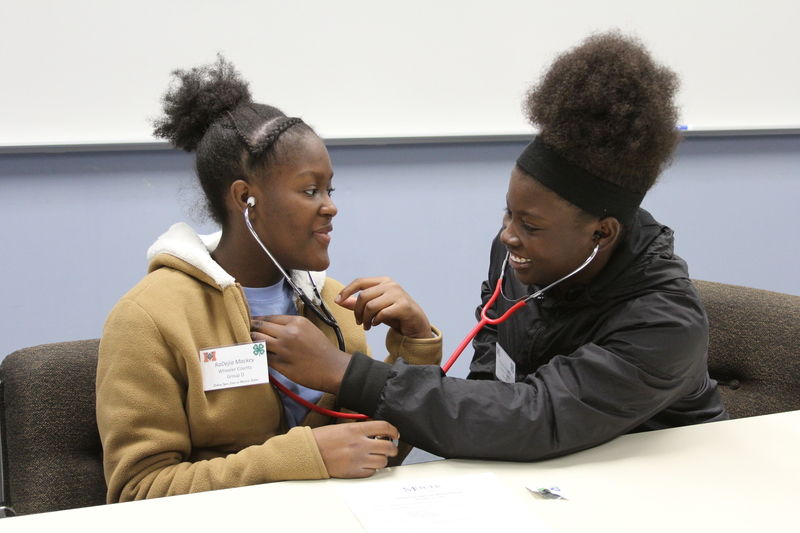 In an effort to encourage students to study medicine and become doctors in the Peach State’s rural communities, she turned to Georgia 4-H, a youth development program run by University of Georgia Cooperative Extension. The program’s goal is to expose 4-H’ers from medically underserved, rural Georgia to the idea that medical school is an option for them, Smith said. 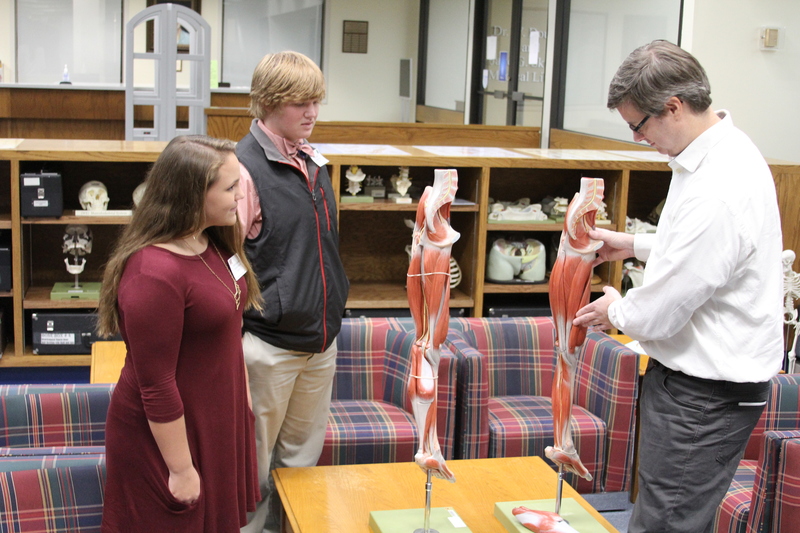 Members of 4-H must apply to the program, and accepted students travel to Macon for an inside look at medical school through sessions led by Mercer faculty and students. There are about 30 4-H members in each session of the program. They rotate through different stations to learn about basic physiology, patient interaction, rural medicine, telemedicine, medical research and more. The 4-H participants also receive information about admission requirements and scholarships, like Mercer’s Nathan Deal Scholarship. Named for Georgia’s governor, the scholarship pays 95 percent of a student’s tuition for up to four years if the student agrees to work for four years in a medically underserved, rural Georgia county. The first 25 Nathan Deal Scholars were announced in August 2017. A private university, Mercer is funded by the state for one purpose: to prepare students to become doctors for underserved, rural Georgia, Sumner said. Medical school students graduate with about $200,000 in debt, she said. UGA Associate Dean for Extension Laura Perry Johnson, who grew up in the south Georgia town of Moultrie, wholeheartedly supports the program. The partnership between UGA’s Extension and Mercer University is just one of the ways UGA invests in rural Georgia. To date, 84 high school-aged 4-H’ers have participated in three events in Macon—in fall 2016, spring 2017 and fall 2017. The next session will be held on Mercer University’s campus in Savannah. Bleckley County 4-H’er McKinley Cranford said the Setting Your Sights on Medical School program confirmed her desire to attend medical school and made her aware of how much dedication and commitment is required to do that. In addition to introducing 4-H’ers to medical school, the program allows the students to benefit from the university’s resources. Cranford was allowed to borrow a medical model of a human leg. She plans to become a pediatrician in her hometown of Cochran, Georgia. She used the resource to create a 4-H project that earned her a first-place ribbon. For more than 200 years, the University of Georgia, as the land- and sea-grant institution, has worked throughout the state to create communities with educated citizens, strong civic and business leaders, good infrastructure, a skilled workforce, and amenities that help provide a positive quality of life, all key to attracting new companies and jobs. The University of Georgia continues to be uniquely positioned to boost the economic vitality of the state and increase prosperity for all Georgians. This is the final part of a series of stories about UGA and economic development in rural Georgia.